Fresh air on demand? 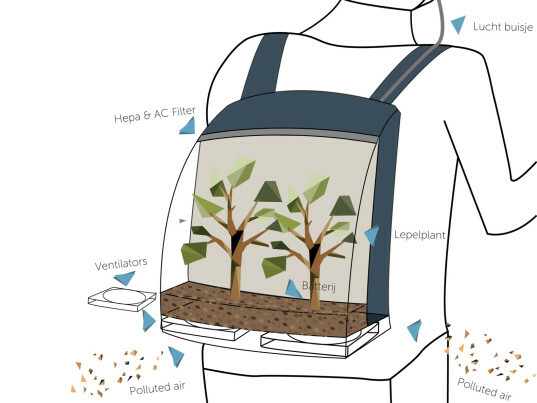 That’s the idea behind the “plant backpack,” an out-of-the-box concept that could replace flimsy paper masks in the fight against air pollution. 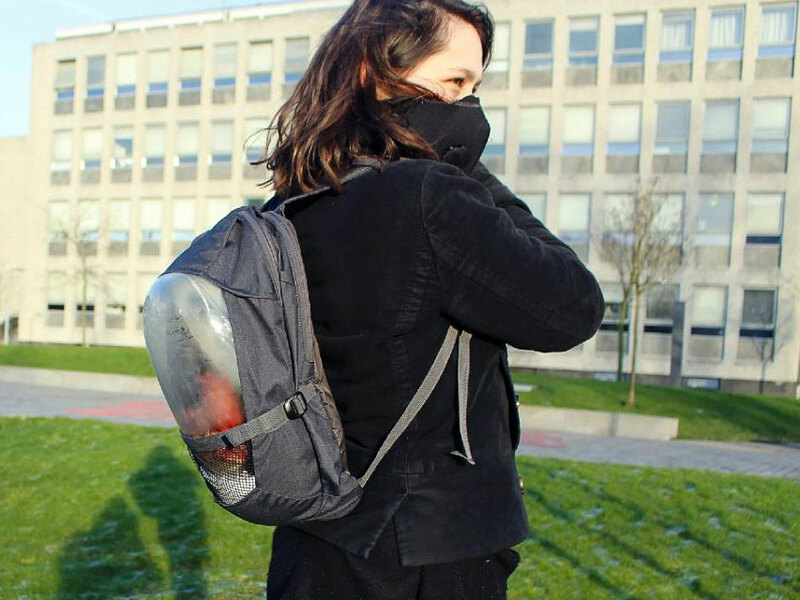 The brainchild of five Dutch students, the “Plant Bag” uses fan to draw in outside air through the roots of a shrub housed within. A HEPA (high-efficiency particulate air) filter gives the sifted air a second pass before the wearer breathes it in though an attached collar. It’s early days yet, but the design has already won a “Battle of Concepts” challenge commissioned by Stichting Innovatie Glastuinbouw Nederland, a nonprofit organization dedicated to furthering socially valuable innovation in greenhouse horticulture. The next step, according to team leader Marnix de Kroon, is developing a working prototype. Although the HEPA filter should trap pollutants just fine on its own, De Kroon insists that a plant is necessary to corralling even the tiniest of microscopic particles, such as volatile organic compounds. “This product may not take off very quickly in Europe, but cities like Beijing and Tehran, cities with serious pollution problems, will be our main market,” De Kroon told AFP. Considering that pollution in some parts of Beijing this past December reached nearly 40 times the maximum level of PM2.5 particles recommended by the World Health Organization, extra insurance might be warranted. “We are testing which plant will work the best, and it seems that aloe vera may be a possibility,” he added.